We are living on a tiny life-bearing rock, an oasis, in a large, very large and hostile desert called “Universe”. 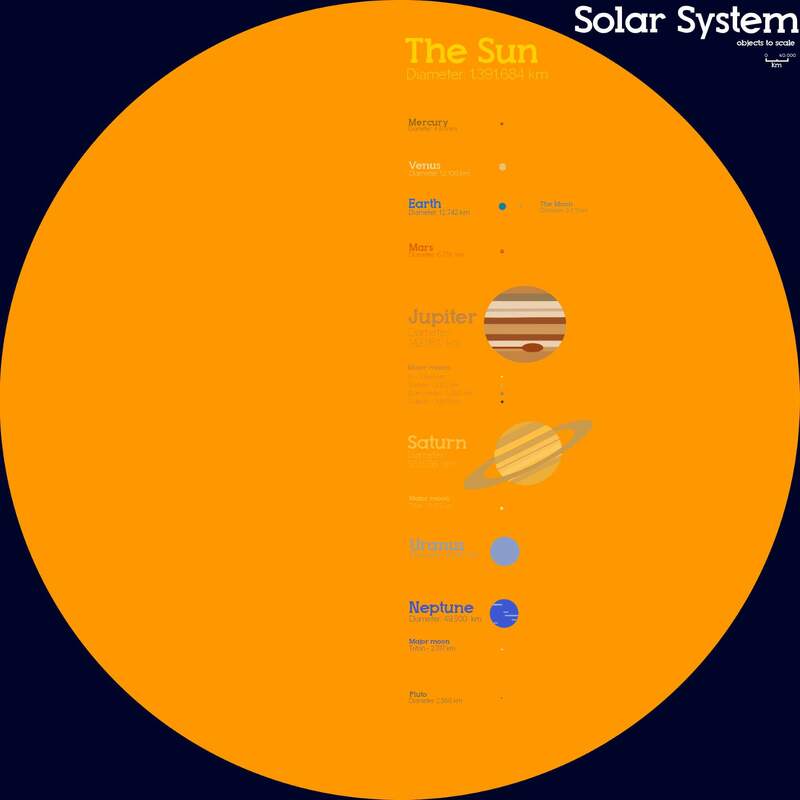 The universe is big, really big, in fact, even our solar system is shockingly large compared to Earth. But again, our brains have problems dealing with the big numbers and the large objects. Jacqui Frank of Business Insider has prepared video comparing our planet with large objects (and distances) in the Universe. These amazing to-scale visuals will help to recognize how small (and fragile) our planet is. Earth to scale: It’s easy to forget how small our Earth is within the known universe. These to-scale visuals will help to keep that in perspective. The distance between the Earth and the Moon (384,400 km / 238,855 miles) can obtain about 30 Earths (the diameter of Earth is 12,742 km / 7,917.5 miles). From the surface of Mars, the Earth is only a tiny dot. Jupiter’s giant red spot (a huge storm) would completely swallow the North America. 6 Earths could fit across Saturn’s rings. Despite being an average sized star, the Sun is so large that 1.3 million Earths would fit inside of it. Our Sun is only one of 100 billion stars in our galaxy, The Milky Way. Our galaxy is in a supercluster of galaxies called “Laniakea”, which is home to our galaxy the Milky Way, and 100,000 other nearby galaxies, stretched out over 160 megaparsecs (520 million light-years).